Your pumpkins are brilliant! Very spooky. 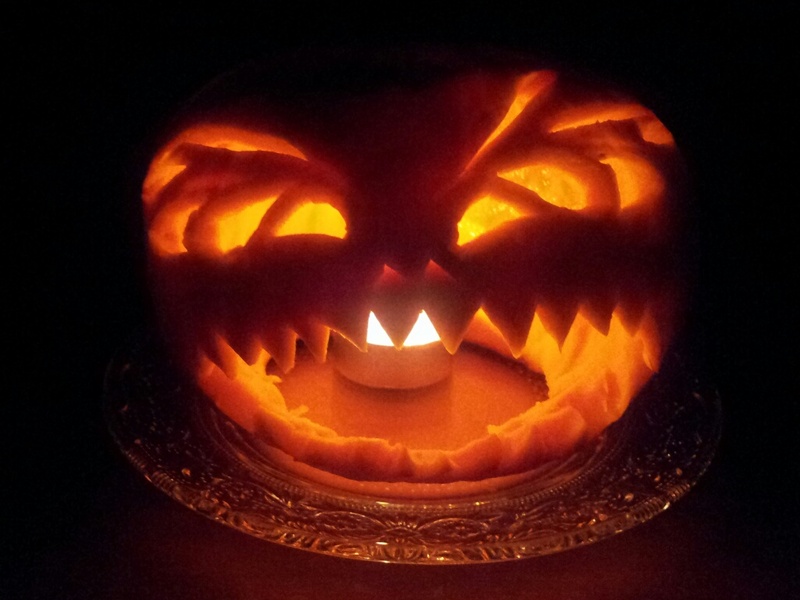 I gave in to demands and carved a pumpkin today, and very fun it was too. Enjoy your party. Thank you, it was well received and passed the children's approval, so I was happy! Thank you for your kind word and welcome, happy to have you here! We have been watching all the news reports and have friends in New York too (who thankfully are safe) but it is very saddening to see. I hope to see Laura next week, so will thank her too! Be safe and drop by soon! Thank you so much. And enjoy your visit with Laura. Treasured friendships are the best gift! Whoa! Your pumpkins are awesome!! Thank you! I loved doing them! There were a few bits that dropped on the floor - is there nothing a puppy won't eat!!! Thanks for stopping by. Great pumpkins, Ivan!! Have fun at the party! Hope the rain has passed, thank you. Pumpkins small this year, less carving mind! Party was fun, with a lot of little devil princesses too pretty to be scary! Thank you, I had fun doing them and I have been cooking with the 'middles'! Thank you. Yes, you have a lot of concentration with all the sharp knives and tools! 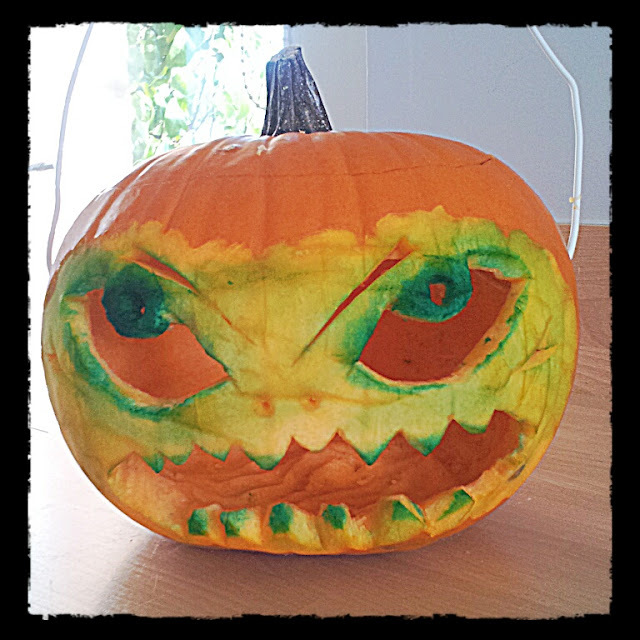 Vary Scary..2nd pumpkin...now the 1st feller is very artsy...love it! Thank you, I try... There is usually more time and more gore, but quite enough for small children... mind you, they didn't seem scared at all - mostly focused on the candy! Just thought I'd let you know I made your sliced baked potatoes dish for dinner tonight. I used a bit too much stock, and I didn't get the slices arranged as nicely as you did, but it was a hit! Thanks. Happy you tried it, hope it wasn't spoilt by too much stock - you could leave it in to dry out more, also ovens differ. Some potatoes will take in more liquid and also less needed if the slices are thicker. I hope you try it again! Those are great pumpkins! Just saw you on BassetMomma's blog and wagged on over to take a look. Very neat blog! You are most welcome, thank you for dropping in!